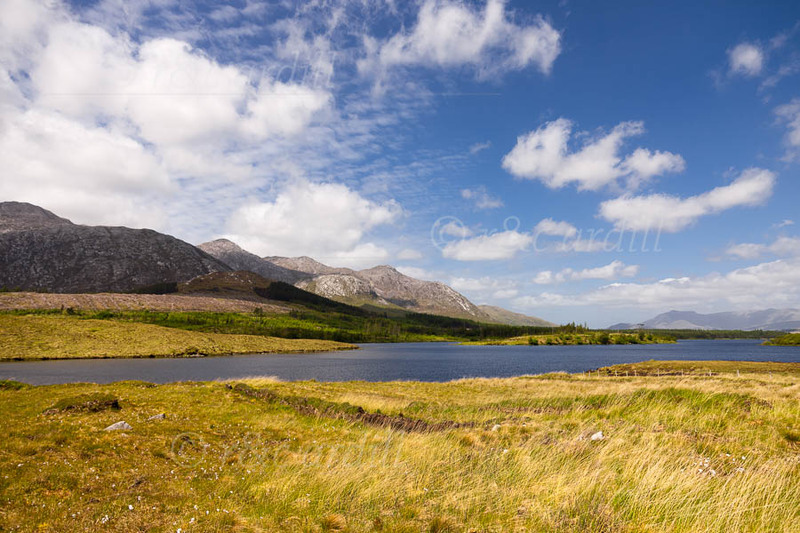 A view of Lough Inagh with the Twelve Ben (or Twelve Pin) mountains to the left. The Mweelrea Mountains of County Mayo can be seen in the far distance. A lovely summer's morning with strong winds and fluffy cumulus clouds.